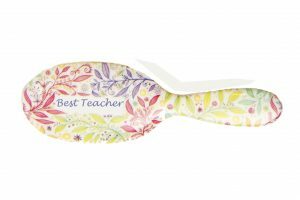 For something a little different, we have the ideal Thank You Teacher gift. There’s a range of stunning designer, personalised hairbrushes from Rock & Ruddle, available at www.rockandruddle.co.uk. Have your chosen hairbrush personalised to your teacher i.e. ‘Best Teacher’, ‘Mrs Smith’, ‘Mr Turner’ or simply ‘Thank You’. 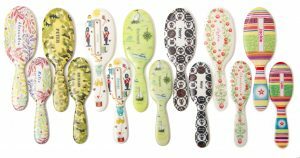 Brushes come in some fab designs from stripes, leaves and floral inspiration to sailing boats, toy soldiers, pirates and more. Brushes come in two sizes, large and smaller-sized – the personalised range starts from £25. Rock & Ruddle’s quality boar bristles are strong and resilient, have a natural stiffness that means that they brush the hair thoroughly and yet don’t pull as they are drawn through it. They have microscopic scales that release and drag the sebum (natural oil) that is produced in the scalp distributing it along the hair making it shiny and healthy looking.